If the human eye is the window to the human soul, food is the looking glass to the heart of any culture. Food and travel go hand in hand, and perhaps, there is no better way to delve into the culture of the place you are visiting than to taste its most famous dishes. Trying out cuisines unique to a particular culture enables you to meet new friends, understand history, politics, and religion. It is also the taste that lingers in your mouth, the feeling of content after devouring the most exotic, or the most delicious cuisines that makes lasting memories – memories you will cherish for the rest of you life. Every culture has a signature cuisine; a spin on food, whether they’re serving a slightly different version of a familiar favorite dish. From China’s famous Peking duck to good old US barbecue, here are ten iconic dishes from around the world that every traveler should try at least once! The famous Peking Duck in China is said to be the country’s “imperial dish”. Peking Duck is a famous duck dish from Beijing that has been prepared since the imperial era. The meat is prized for its thin, crisp skin, with authentic versions of the dish serving mostly the skin and little meat, sliced in front of the diners by the cook. Ducks bred specially for the dish are slaughtered after 65 days and seasoned before being roasted in a closed or hung oven. The meat is eaten with scallion, cucumber and sweet bean sauce with pancakes rolled around the fillings. Sometimes pickled radish is also inside, and other sauces (like hoisin sauce) can be used. The Peking Duck dish is served in three stages. The cooked Peking Duck is traditionally carved in front of the diners. First, the skin is served dipped in sugar and garlic sauce. The meat is then served with steamed pancakes , spring onions and sweet bean sauce. Several vegetable dishes are provided to accompany the meat, typically cucumber sticks. The diners spread sauce, and optionally sugar, over the pancake. The pancake is wrapped around the meat with the vegetables and eaten by hand. The remaining fat, meat and bones may be made into a broth, served as is, or the meat chopped up and stir fried with sweet bean sauce. Otherwise, they are packed up to be taken home by the customers. The escargot is a cooked land snail. Escargots are usually served as a starter in Portugal, Spain and in France, and are a typical dish in the Catalan region of Spain. However, the French escargot is the most popular among the edible snails and is regarded as the ‘gold in meat’ due to its being nutritious and pharmaceutical values. In French culture, the snails are typically purged, killed, removed from their shells, and cooked (usually with garlic butter, chicken soup or wine), and then placed back into the shells with the butter and sauce for serving. Additional ingredients may be added, such as garlic, thyme, parsley and pine nuts. Special snail tongs (for holding the shell) and snail forks (for extracting the meat) are also normally provided, and they are served on indented metal trays with places for six or 12 snails. Moussaka is an eggplant or potato-based dish, often including ground meat, in the cuisines of the countries of the former Ottoman Empire, with many local and regional variations. Most versions are based primarily on sautéed aubergine (eggplant) and tomato, usually with minced meat. However, the Greek version includes layers of meat and eggplant topped with a Béchamel (“white”) sauce, and baked. The modern Greek version was probably formulated by chef Tselementes in the 1920s. It has three layers that are separately cooked before being combined for the final baking: a bottom layer of sliced eggplant sautéed in olive oil; a middle layer of ground lamb lightly cooked with chopped or puréed tomatoes, onion, garlic, and spices (cinnamon, allspice and black pepper); and a top layer of Béchamel sauce or savoury custard. The composed dish is then layered into a pan and baked until the top layer is browned. Moussaka is usually served warm, not piping hot; if cut hot out of the oven, moussaka squares tend to slide apart and consequently the dish needs some resting time to firm up before serving. Reheating, however, does not present the same problem. There are variations on this basic recipe, sometimes with no top sauce, sometimes with other vegetables. Such variants may include, in addition to the eggplant slices, sautéed zucchini (courgette) slices, part-fried potato slices, or sautéed mushrooms. There is a fast-day (vegan) version in the Greek cookbook by Tselementes, which includes neither meat nor dairy products, just vegetables (ground eggplant is used instead of ground meat), tomato sauce, and bread crumbs. Dosa is a kind of pancake made from a fermented batter. Its main ingredients are rice and urad beans. Dosa is part and parcel of the South Indian diet and popular all over the Indian subcontinent. Traditionally, Dosa is served hot along with Sambar and Chutney. It can be consumed with Idli podi as well. Zucchini or courgette is a summer squash which can reach nearly a meter in length. In a culinary context, zucchini is treated as a vegetable; it is usually cooked and presented as a savory dish or accompaniment. 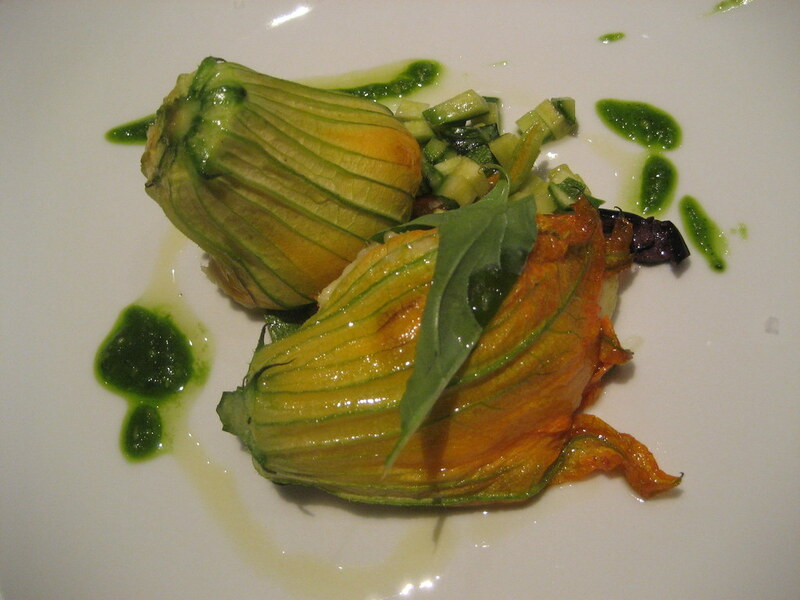 Botanically, zucchinis are fruits, a type of botanical berry, being the swollen ovary of the zucchini flower. Squash blossoms may be stuffed, battered and fried,or made into soup. The flowers have a subtle flavor, reminiscent of young zucchinis, and can be eaten raw. The flowers are also frequently stuffed and cooked. Such dishes belong to a family of stuffed vegetable dishes, dolma, in the cuisine of the former Ottoman Empire. The stuffing frequently includes a soft cheese, such as ricotta. In the Campania and Latium regions of Italy they are frequently made into fritters – fiore di zucca (deep-fried zucchini flowers). Modern teppanyaki grills are typically propane-heated flat surface grills and are widely used to cook food in front of guests at restaurants. Do you fancy a little audience participation with your food? Well, you will probably enjoy teppanyaki in restaurants in Japan. Watch your chefs juggle utensils, flip ingredients, and grill your steak right in front of you! Note: Teppanyaki grills are commonly confused with the hibachi barbecue grill, which has a charcoal or gas flame and is made with an open grate design. With a solid griddle type cook surface, the teppanyaki is more suitable for smaller ingredients, such as rice, egg, and finely chopped vegetables. Malaysia is popular for the so called “king of soup” – a spicy, tangy, coconut-creamy soup packed full of noodles, seafood, fish sticks, puffed tofu, vegetables, a hard-boiled egg, coriander and chilli sambal – Laksa. 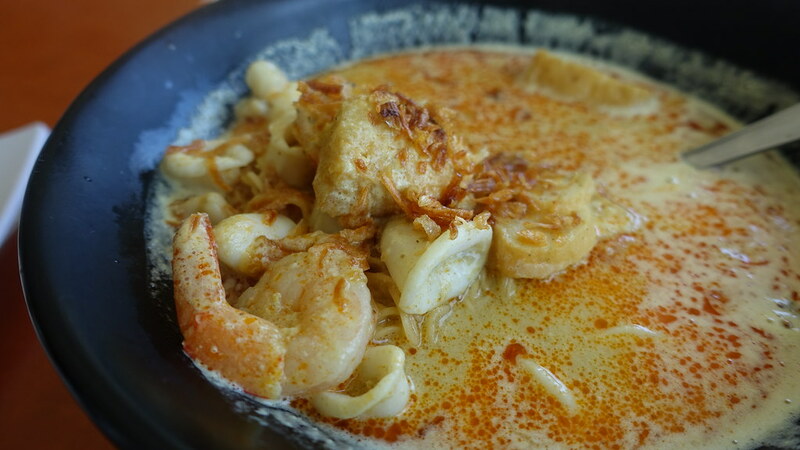 Laksa is a popular spicy noodle soup in the Peranakan cuisine,which is a combination of Chinese and Malay cuisine. Laksa consists of rice noodles or rice vermicelli with chicken, prawn or fish, served in spicy soup; either based on rich and spicy curry coconut milk, or based on sour asam (tamarind or gelugur). It can be found in Malaysia, Singapore, Indonesia and Southern Thailand. Savour Thailand’s four essential flavours – sour, salt, sweet and chilli – in one dish, load up a bowl of som tam (green papaya salad) and prepare for sensory overload. Green papaya salad is a spicy salad made from shredded unripe papaya. It is of Lao origin but it is also eaten throughout Southeast Asia. Locally known in Cambodia as bok l’hong, in Laos as tam som or the more specific name tam maak hoong, in Thailand as som tam , and in Vietnam as goi du du. Som tam, the Thai variation, was listed at number 46 on World’s 50 Most Delicious Foods compiled by CNN Go in 2011. Som tam’s base ingredient, shredded unripened papaya, is combined with any or all of the following: palm sugar, garlic, lime juice, fish sauce, tamarind juice, dried shrimp and, quite often, seafood, tomatoes, carrot, beans and peanuts. Simply add the ingredients to a mortar and start pounding. A northern Thai dish from the Isan region, som tam is typically served with grilled chicken and sticky rice. There is much debate about the origins of Pavlova – a meringue-based dessert named after the Russian ballerina Anna Pavlova. Australia and New Zealand vie for ownership of this iconic dessert. Pavlova is a meringue dessert with a crisp crust and soft, light inside, usually topped with fruit and, optionally, whipped cream. The dessert is believed to have been created in honour of the dancer either during or after one of her tours to Australia and New Zealand in the 1920s. The origins of American barbecue date back to colonial times, with the first recorded mention in 1672 and George Washington mentions attending a “barbecue” in Alexandria, VA in 1769. As the country expanded westwards along the Gulf of Mexico and north along the Mississippi River, barbecue went with it. The barbeque ribs in the United States are generally served with a tomato and vinegar BBQ sauce on the side. Kansas City style ribs are prepared with a sweetly spiced rub before being extra slow-smoked, and sugar, honey and molasses add a sweet edge to the BBQ sauce served alongside. St. Louis pork spare ribs are grilled, and served with lashings of tangy tomato-based BBQ sauce. All images are grabbed from WikiMedia and are licensed under the Creative Commons (CC) attribution, unless stated otherwise.